New Zealand’s Ministry for Science and Innovation just launched the second round of their ‘Unlocking Curious Minds’ contestable fund- where they offer $2 million to the successful projects. “Science and technology open the door to a huge variety of careers. They are fundamental to ensuring New Zealanders are equipped to take advantage of the economic opportunities that we have over the next decade,” Minister for Science and Innovation Steven Joyce says. The fund aims to engage youth in the research areas of science and technology. This follows recent efforts to boost STEM interest in young students. Interested parties can apply to be a part of the program at http://www.mbie.govt.nz/info-services/science-innovation/investment-funding/how-we-invest/how-to-apply/ . Application for this year’s programme will be closed on 15 March, 2016. In 2015, the ‘Unlocking Curious Minds’ fund was piloted. In its initial year, more than 50 projects received funding- totaling to $1.9 million. “We have seen some fantastic projects under way. For example in the Hutt Valley, primary students made their own fossils and learnt about dinosaurs, volcanoes, earthquakes and New Zealand’s unique geological resources,” stated Mr. Joyce. “In Otago and Southland, a shipping container has been converted into a mobile science lab. It is touring rural schools, where local scientists are helping kids learn about the effect of artificial light on moths to expand their understanding of nocturnal biodiversity in the region. ‘Unlocking Curious Minds’ fits under the Government’s strategic plan for Science in Society launched in July 2014, A Nation of Curious Minds – He Whenua Hihiri I Te Mahara. 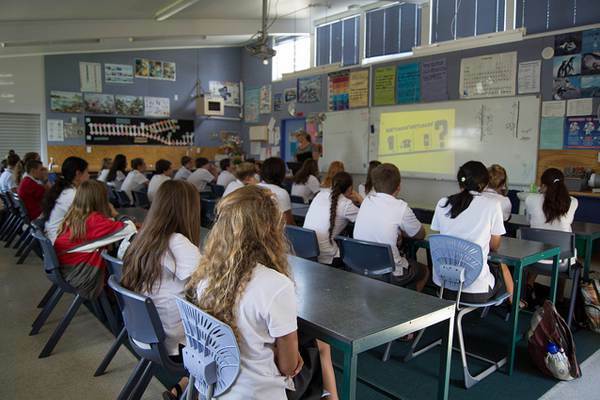 Following the Government’s aim to engage and involve New Zealanders with Science and Technology, this programme hopes to bring in newfound interest in the topics and ignite passion in youth.